Every community becomes more vibrant, creative, and energetic when its members bring a diversity of views and experiences to its common life. Welcome to The College of Saint Rose! My name is Dr. Shai Butler and I am the Vice President for Student Success & Engagement and Chief Diversity Officer on campus. The College values diversity in all its forms and we appreciate the fact that you have selected to become a part of this vibrant, inclusive community where both individual and group diversity is celebrated. The College prioritizes the development of students who are well trained to lead and serve in both their local and global community. For students, there are many activities and resources on campus of which we hope you will partake. Be on the lookout for great programs coming from the Office of Intercultural Leadership, Student Life, Residence Life & Student Association. 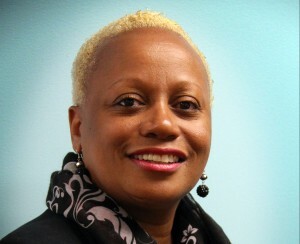 As Chief Diversity Officer, I also serve as a resource to faculty, administration and staff. I conduct trainings and professional development sessions that focus on raising cultural awareness. The College is committed to diversity and to that end, measures, monitors and reports its progress in hiring, enrollment and retention of diverse employees. There are many exciting things going on at Saint Rose and we invite you to join in the learning and the fun. Have a great semester and I’ll see you on campus. 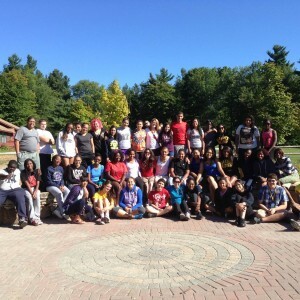 The College of Saint Rose is a diverse learning community that fosters integrity, interdependence, and mutual respect. Inclusive Excellence supports the advancement of reciprocal cultural sensitivity across campus, in order to build a culture that promotes the appreciation of diversity in every aspect of the College and the surrounding community. We are a place that values diversity, including but not limited to race, ethnicity, sexual orientation, gender, gender identity and expression, socio-economic status, religion, ability, age, veteran status, and nationality. Our institutional approach to Inclusive Excellence describes a quality of academic and professional experiences that are realized when all individuals have an equal opportunity to succeed. Inclusive Excellence infuses diversity into the institution’s recruiting, admissions, and hiring processes; curriculum and co-curriculum; and administrative structures and practices. Inclusive Excellence is central to our role as an engaged urban institution with a rich array of liberal arts and professional programs. This approach, grounded in our Catholic heritage, provides opportunities for greater learning, understanding, and growth for all of our students within local, national and global contexts.